For the beginner, proper watering of a bonsai tree can seem like a difficult task. The truth is that in spite what you might have read elsewhere, watering a bonsai tree is a simple process that can be summed up in one sentence. Once the soil is dry, you heavily water your bonsai. There are other details involved and someone new to bonsai will need to learn methods and procedures in order to establish a bonsai tree watering routine. But once you have a routine in place that works for your bonsai tree, watering will be perhaps the easiest aspect of bonsai care. What type of water should I use on my bonsai tree? The quick answer to this question is the best water you can. Some excellent options are distilled water, captured rainwater or discharged water from an air conditioning unit. But in almost all cases regular tap water works just fine. To each gallon of tap water add a tablespoon or two of white vinegar and you are all set. The only water to avoid is water softened with a device that needs to be refilled with a salt based filter. Save yourself the potential problems and just use tap water. How do I water my bonsai tree? You can use a mister, a basting syringe, an old fashion watering can, it really does not matter what method you use to get water on your bonsai. The goal is to get water to every part of the root system of your bonsai tree without too much disruption to the surface of the soil. Just be gentle, you do not want dirt flying and crater left from too strong a stream of water hitting the soil of your bonsai tree. How much water do I give my bonsai tree? The size of your bonsai tree, the species, type of soil you are using, size of containers, the season and many other criteria can influence the answer to this question if you are looking for an exact amount of water to use on your bonsai. But you should not be concerned with the amount of water. There are two main goals for watering a bonsai tree and you should use whatever amount of water is needed to accomplish both. The first is you want every part of the root ball to be wet. Wet the entire surface of the soil and continue watering until water is pouring from the holes in the bottom of your container and you are convinced water has reached every pocket of dirt in the pot. Once that is accomplished continue watering because the second goal is to flush the toxins that can build up in soil out of the container. Around 30 second of water flowing out the holes in the bottom of your pot is plenty. How often should I water my bonsai tree? Do not over think this, you water your bonsai tree when the soil starts to get dry. In most cases if you are not sure it is better to wait another day since alternating between wet and slightly dry soil can benefit your bonsai tree. To test the soil moisture place the palm of your hand on the soil and hold it there for a few seconds. Remove your hand and if there is moisture on your palm then the soil is fine. You can also use the old chopstick method where you insert a wooden chopstick into the soil and leave it there for a minute. Then pull it out and if the chopstick is dry it is time to water. Many bonsai growers use a moisture meter which gives a quick and accurate reading of moisture levels in the soil and removes any doubt. However you decide to check your soil can work. It really is a simple matter to determine if the soil is dry, do not turn it into something complicated. No, you do not need one. But they are fairly cheap and if you are not yet confident that you can determine when you should water your bonsai a moisture meter is a cheap and accurate way to be sure. Should I mist my bonsai tree? Yes. Even if you water your bonsai tree with a method other than misting it is still important to mist your bonsai on a regular basis. Misting the branches and leaves does not supply your tree with the water it needs to stay healthy but it does help in a couple of other ways. First it provides a temporary boost of humidity to the tree which keeps the leaves from drying out and reduces the frequency of watering needed. 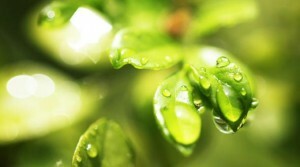 Second the misting itself cleans the branches and leaves of mites and other bad things that can harm your bonsai tree. As always, check with bonsai enthusiasts in your area for tips on how to best optimize your watering for your region. And trust your own results more than any advice you get here or anywhere else. Experimenting and finding out what works best for you is going to yield better results than meticulously following the advice of someone else.